Fuller's earth has always been an essential ingredient used in the beauty industry, especially in hair and skin products. 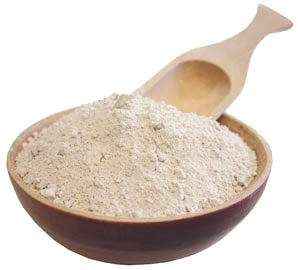 In many parts of the world, it's known as "multani mitti" and is actually a type of clay loaded with several minerals, including quartz, magnesium, calcium, iron, silica, dolomite, and calcite. You can find it in powdered form in different colors, such as green, white, brown, blue, or olive. Thanks to its cleansing, oil-absorbing, and antiseptic properties, it can work wonders for your skin and hair. Above all, you don't have to worry about any side effects when you're using Fuller’s earth. There are several fuller's earth uses making it a popular choice for people around the world. Here are some of the beauty benefits of using this gift of nature. You can make a face pack using Fuller’s earth and enjoy several benefits. It eliminates wrinkles, improves your complexion, and tones up your skin as no other product can. What makes it special is the fact that it is suitable for all skin types. It can absorb oil, so it is a great treatment option for oily skin. You can make use of Fuller’s earth to reduce the appearance of minor burn marks, wound scars, or other types of scars. You don't have to use any creams to get rid of acne. All you have to do is apply some fuller's earth on your face to limit oil secretion, which in turn prevents and treats acne and pimples. You can use fuller's earth to exfoliate your skin and eliminate dry flakes. It is possible to find so many ways to use fuller's earth as facemask to exfoliate your skin and to keep it moisturized too. You can use this nature's gift to treat dandruff and improve the overall look of your hair. It can absorb oil, dirt, and grease from your hair to ensure you face no issues related to dandruff. It improves blood circulation and helps with hair growth. It also serves as a great substitute to your regular shampoos and prevents split ends. Do you have sore or inflamed feet? No problem. Just dissolve fuller's earth in water and soak your feet in it for relief. It was a popular remedy for sore feet back in World War 2 and is still effective. You can resolve the problems of oily skin by making a paste using rose water and multani mitti. Apply it directly on your skin and leave for a few hours. Wash it off to get rid of excess oil. You can use multani mitti as a scrub by making a mixture using crushed almonds, multani mitti, and a little bit of glycerine. Be sure to massage your face and the area below your eyes to eliminate dark circles. Wash it off after some time. You can tighten up your skin that may have sagged due to aging by adding a spoon of curd and a whole egg white to multani mitti and applying it on your skin. Make sure to mix these ingredients well to get a smooth paste. Wash it off in a couple of hours to reduce the appearance of wrinkles and improve skin elasticity. You can have glowing skin by mixing tomato juice, multani mitti, and some sandalwood powder together. Apply this paste on your face to reduce the facial spots. You can also add turmeric powder to this paste to make it even effective. Leave it on your skin for 10 minutes and wash off for extra glow. You can have healthy skin by mixing a couple of spoons of multani mitti, a spoon of honey, a couple of teaspoons of sandalwood powder, and some lemon juice. Mix these ingredients well to make a smooth paste – you can add some rosewater if the paste seems thick. Leave in refrigerator for a couple of minutes and apply directly on your face. Wash it off after 20 minutes or so. You can have silky hair by mixing multani mitti in water for a couple of hours and then applying it directly on your hair. Be sure to massage your scalp gently and leave for five minutes. Now, rinse it off to have silky, shiny hair. While it is true that there are no serious side effects of using fuller's earth, you should still pay attention to certain things when you're using this natural remedy for hair and skin. You should practice some care when applying it because it produces fine dust that may get into your eyes – it is not seriously harmful though. You simply need to sprinkle some multani mitti on upholstery or other items of clothing with a fat-based stain and leave it there for several hours – it is best to let it sit there overnight. The next morning, you need to brush off it off gently. The stain will go with the fuller's earth. You can also use it to clear wine stains or fix stains in your driveway or garage caused by an oil spill. It is equally beneficial to deal with burns, muscle pain, and menstrual cramps. You just need to make a paste by adding some multani mitt to water and applying it on the affected area using a cloth. Hold it in place for relief. Your smelly upholstery, carpets, and everything else! Simply sprinkle it on your carpets and leave for a few hours before you vacuum it up again. The odor will no longer be there. Server responsed at: 04/18/2019 3:18 p.m.